Where to make: in An'hui province. 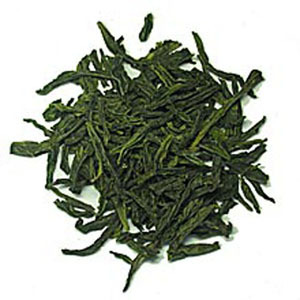 Liu An Gua Pian Tea�C Considered one of China "10 Famous Teas", Liu An Guapian is a hearty green tea with a fresh, lightly floral aroma, sweet taste and hint of smokiness. Also known as "Melon Seed", the shape of this tea is especially distinctive, resembling a sunflower seed. After picking the bud and two leaves from the plant, the teamaker cuts the bud and any stem from the leaves, creating equal-sized single leaf pieces. These carefully cut leaves are then pan-fired over low heat, creating a tea with bright green colored leaves and a flavor that is rich and full-bodied. Origin: China, Anhui Province. Certified Organic.